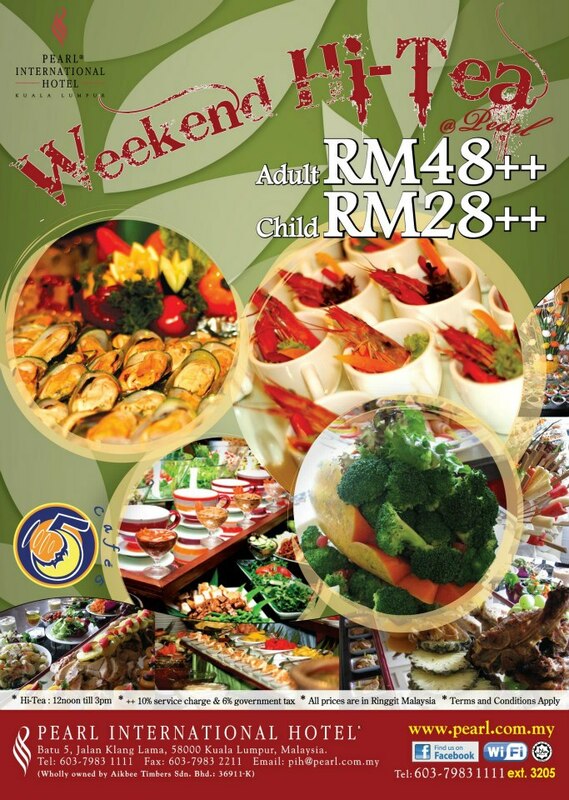 RM48++ adult / RM28++ child. With an arrays of all-time Malaysian favourites ranging from malay cuisines, indian great cookings and delectable chinese food – all presented to you by our team of dedicated and passionate chefs. These buffet line-up boasts more than 80 food items, sauces, condiments , soups , meats , noodles, desserts and many more will definitely make your weekend a splendid one. What could be better than you sharing these with your family, friends or even your neighbours on a simple outing – hunting for great food on an idyllic weekend. For Reservation, call us now at Cafe 5 – Alan Wong 603-7983 1111 ext 3205 or just to find out more on this promotion.